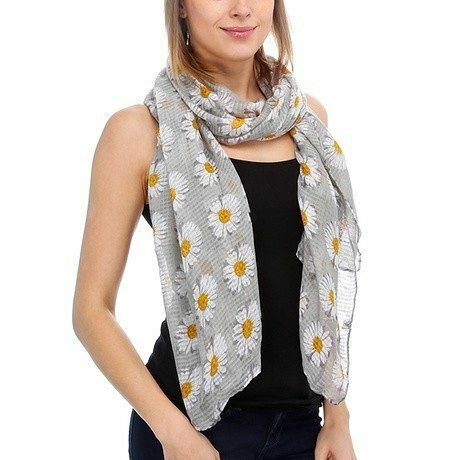 6-Pack: Lightweight Sunflower Scarves Only $26 Shipped! You are here: Home / Great Deals / 6-Pack: Lightweight Sunflower Scarves Only $26 Shipped! These are a great, light and breezy pop of color to add to your favorite spring outfit! You get 6 different colors with the Sunflower pattern! The 6-Pack: Lightweight Sunflower Scarves is Only $26 Shipped ($24 plus $2 flat shipping). What are you going to do with 6 scarves in the same pattern? How about a family portrait with all the women in a scarf of a different color? Or add them to your bridesmaids gift bags!